Guava leaves also known as “Amrood Ke Patte” have several medicinal properties and offer an array of health benefits. Being packed with antioxidants, antibacterial and anti-inflammatory agents and beneficial tannins, fresh guava leaves are considered as a natural pain reliever. The chemicals contained in these leaves such as polyphenols, carotenoids, flavonoids and tannins can be extremely effective in treating various diseases. Health benefits of guava leaves have been used by people to treat digestion problems such as diarrhoea and thrush. Guava leaves contain many potential bioactive components such as saponins, tannins, flavonoid, eugenol and tritenoids. Flavonoids and tannins dominate the polyphenolic component of guava leaves. Guava leaf in medicinal purpose is mostly used to treat diarrhoea. The study reported that guava leaf has strong anti-bacterial compound such as tannins and essential oil which very effective to fight against S. Aureus infection and inhibit those bacteria growth. The way to use guava leaves to cure diarrhoea is by taking 6 guava leaves, then wash it. Then, boil it through and squeeze the leaves. Next is you get the leaves extract. Then, just drink it straight once in two days until you feel much better. Guava leaves lower the body’s glucose levels, without creating a rise in the insulin levels. The high levels of vitamin C and iron in unripe tropical fruit help reduce mucus productions and prevent the spread of microbial activity. It is important to remember that while unripe guava is effective, ripe guava can have the opposite effect and instead irritate and prolong the illness. It is surprising that guava leaf can reduce the level of cholesterol in the blood which can cause many health problems. Studies reported that guava leaf contains active phytochemical compounds such as gallic acid, catechin and epicatechin which can inhibit pancreatic cholesterol esterase which slightly reduces cholesterol level. Washing your hair regularly with guava leaves water has been known to slow down hair loss. The vitamin C present in the leaves nourishes your roots and makes them stronger. 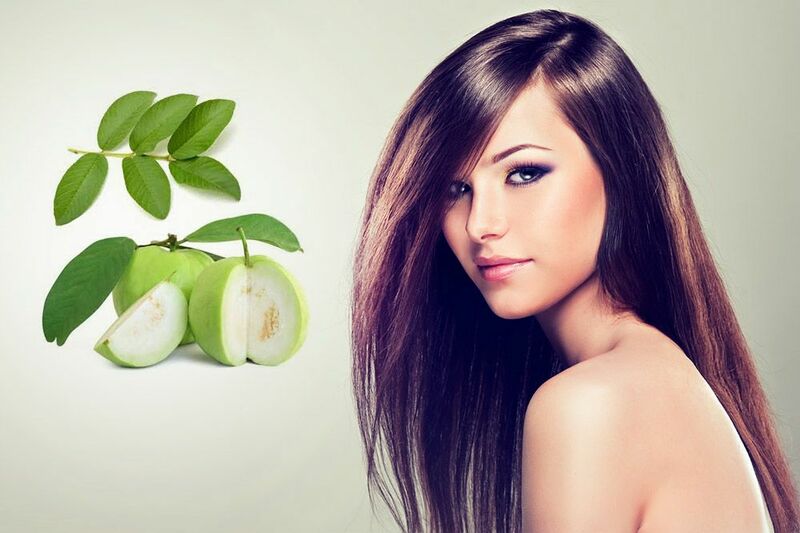 Guava leaves also work as a hair thickening agent. The vitamins B and C nourish hair follicles and help in hair growth. Guava leaves promote brain health due to high levels of vitamin B3 (niacin) and B6. Niacin is known to help with increased blood flow, along with improved cognitive function and focus. With their high percentage of vitamin C, guava leaves can help with your acne when crushed and applied to trouble spots. Blackheads also benefit from this homemade paste with a few drops of water.